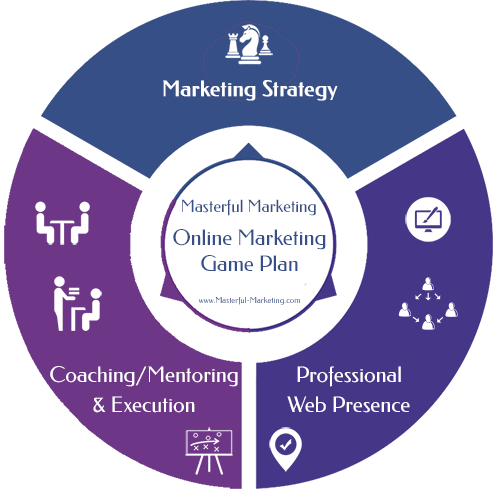 Our 3 Phase Online Marketing Game Plan is designed to help entrepreneurs and small business owners master the marketing skills required to successfully create online visibility while off-loading the creation of your web presence. Our agency creates your responsive WordPress website and ensures your brand is consistently used on all of your social media profiles. This gives you the time to focus on learning what it takes to successfully market your business. Understand what marketing strategies will work for you based on your overall marketing goals. Learn how to plan and implement inbound marketing funnels to attract the right visitors to your website and convert them into leads. Put activities in place to nurture your leads so you turn them into customers. Know how to measure your marketing effectiveness so you can continue to do what works and eliminate those that fail. And implement a high-performance system to catapult your business results. Work on the right thing right now depending on your stage of business. At the end of the six month program, you are armed with knowledge about how to market your business efficiently and effectively. You now have the information you need to decide whether you want to market your business yourself or outsource execution to an agency. If you decide to market your business yourself, you have the option to continue the 2 hours of strategy and accountability calls per month for a small monthly fee. Utilizing the 90 Day Year High-Performance Achievement System will help you stay on track. Before you can implement any marketing efforts, you must have a professionally developed website as the central hub. In addition, your web presence must project a consistent brand everywhere it can be found in the search engine results. We take the responsibility of creating your website that reflects your company in all aspects of the business. We implement basic on-page SEO techniques to make it easy for your prospects to find and connect with you on their terms. A pretty website that doesn't let your visitor see that you understand their needs and why you are the right business to solve their problem is a waste of time and money. By us taking control of building your quality web presence, we can ensure that your message gets accurately delivered to your target audience. 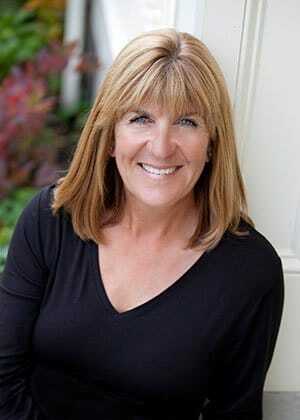 Business review – discusses your business vision and your competitive landscape. Strategic positioning – defines your target audience, the problems you solve, the key benefit of working with you and your core value proposition. This is critical to ensuring the business is properly positioned and messages are clear. Marketing goals – guides you towards your vision. Marketing strategies - determines what we will use to achieve your goals. Marketing action plan – defines the projects and tasks associated with each strategy. Editorial calendar – lays out the content, format, timing and channels of distribution. Once the website is nearing completion, you will be given access to it to begin to understand how to manage and maintain the site yourself. We will then use strategy sessions to discuss how you create an even larger presence on the Internet. What you should be working on right now to get the best results. 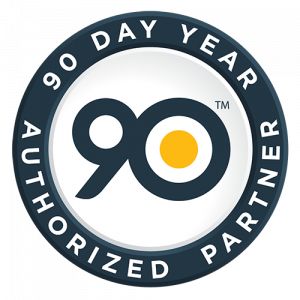 As an authorized partner, I will be using the 90 Day Year High-Performance system to plan, measure and track our progress. Each strategy session you get my full attention for 60 minutes and a recording of the call. In my experience, no one can take notes fast enough and participate in our conversation at the same time! I want us to discuss your challenges, brainstorm your strategies and help you make progress so our sessions are of the highest value to you. 6 monthly payments starting at $1,000* per month. If you are an independent professional or small business owner who wants a structured relationship to ensure success and is willing to invest the resources -- time, energy and money -- to market your passion successfully, the Online Marketing Game Plan is ideal. You will learn how to use the online tools available to market your business and ensure success. * Monthly fees may vary based on your requirements.